The Eighth and Penn development in Downtown Pittsburgh has secured their first commercial business, Midwestern-based restaurant chain The Eagle Food & Beer Hall. 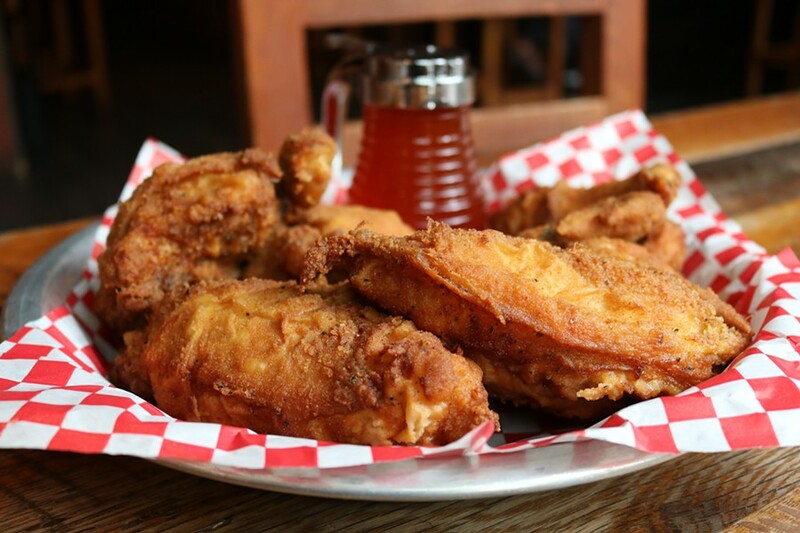 The Eagle is known for fried chicken, brined overnight and pressure-fried, dubbed “anything but demure,” by Cincinnati Magazine. 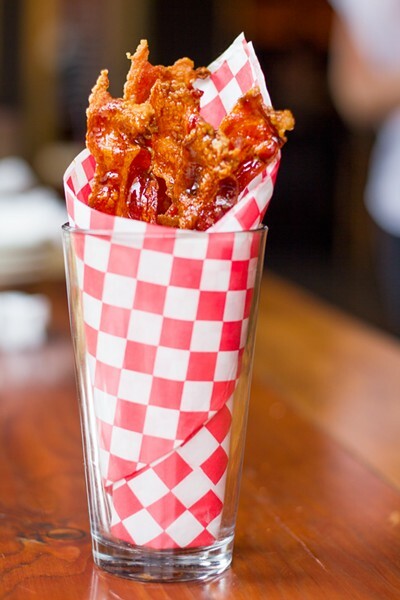 It’s served with a house-made hot honey, adding a kick to the “crisp, peppery crust,” and is, according to the magazine, a taste you won’t forget. This eatery is a creation of Alex Blust, Joe Lanni, and John Lanni, the co-founders of Thunderdome Restaurant Group. Thunderdome is also behind popular restaurant Bakersfield (the Pittsburgh branch located Downtown). Eighth and Penn’s new hall marks The Eagle’s fifth spot, with restaurants in Columbus, Louisville, and Indianapolis in addition to Cincinnati. Fried chicken, though the clear star of The Eagle’s menu (Cincinnati's location is one of the city’s highest-rated restaurants on Yelp), the eatery also promises tasty sides, snacks, and sandwiches. 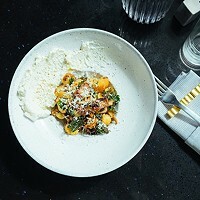 Traditional Southern accompaniments like mac n’ cheese, spoonbread, and grits make the menu, alongside small bites such as brown sugar bacon — a cup of bacon — and sausage and kale dip. Craft beer is another big part of The Eagle, the Cincinnati restaurant noted for having a comprehensive guide to the brews, listing flavor, alcohol by volume, and IBUs. When finished, The Eagle will take up 6,000 square feet of the first floor commercial space in the Eighth and Penn development. It’s tentatively set to open this fall, a few months after the space is open for residential use. Three of Pittsburgh’s favorite things have come together with one, delicious collaboration: a shawarma for good. HungryGrl Big City, one of the city’s beloved food bloggers, has partnered with Pita My Shawarma, one of the city’s most sought-after food trucks, to create The Hungry Grl Special Shawarma. 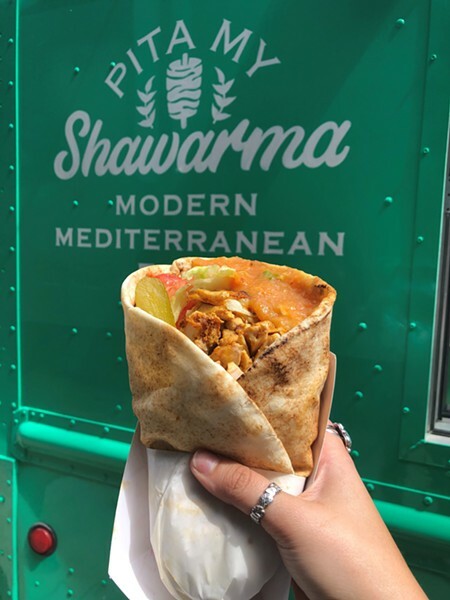 It’s the truck’s chicken shawarma with an added kick of a mango and habanero sauce created to benefit 412 Food Rescue, a local organization working to reduce food waste. For every special shawarma sold, one dollar will be donated to 412 Food Rescue. 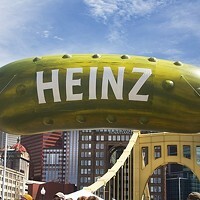 And if you share a photo of the dish on Instagram and tag Hungry Grl (@hungrygrl_bigcity), the local content creator will donate another dollar to the Pittsburgh-based nonprofit. This partnership will continue through April; Pita My Shawarma will be serving up the special at every event while supplies last. 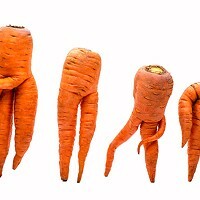 Find out where the truck is parked at pitamyshawarma.com. This is the first line of of an Instagram post from Braddock’s popular brewery Brew Gentlemen, as they announced big future plans. The young business is planning major growth, expanding both the taproom and production. Brew Gentleman is renovating a warehouse behind their current taproom into a “full-scale production brewhouse.” This means more beer, more cans, and more presence in area establishments. They are also opening BG Open Air, an outdoor courtyard next to the brewery. The outside space will open in time for the brewery’s fifth anniversary celebration week, May 20-26, and remain open for the warmer months. On St. Patrick’s Day, 412 Brewery opened a new taproom on the Northside. The brewery has operated from a space in McKees Rocks for about two years, distributing brews to city restaurants and bars. Their diverse list of microbrews, ranging from an English special bitter to a milk stout and a milkshake IPA, is produced by five brewers on a five-barrel system. 412’s Northside location seats offers seven rotating drafts and can seat about 40 people with an equal number of seats in the beer garden. Keep an eye on the brewery’s social media pages for food truck schedules, can releases, and jumbo Jenga tournaments. Tonight (April 12), the brewery releases its first can, R-U-Ready-4-One-Too! Drink and celebrate the new English special bitter and 412 day from 3 p.m.-12 a.m. For every $15 purchase, the brewery is giving out free pint glasses. 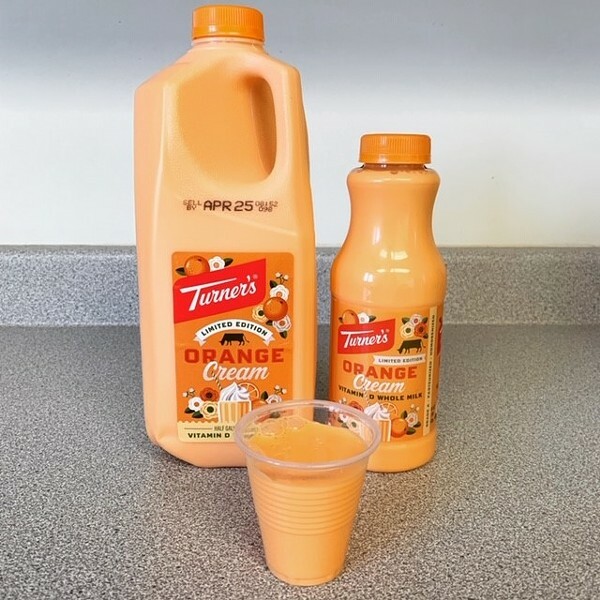 Orange cream milk is officially on store shelves, thanks to Turner Dairy Farms. This is the latest release in the farm’s limited edition milks, a series that has gifted dairy lovers with magical concoctions like chocolate peanut butter, cookies & cream, chocolate covered cherry, and many, many more. So far, the orange cream flavor has received mixed reactions, Facebook responses varying from “I NEED IT” and “This tastes just like a dreamsicle!” to “what the hell is this?” You’ll have to decide for yourself if you can find a pint. Turner flavors are notorious for disappearing quickly. Snag one from a local store while you still can!